As part of the team that built The Exploratorium, a LEED® Platinum, net zero energy facility (perhaps the largest, net-zero energy museum of its size in the world, Nibbi has first-hand experience with projects that have ambitious sustainability and renewable energy goals. Nibbi’s professional staff (many of which are LEED®-Accredited Professionals and/or Certified Green Building Professionals) has the passion and experience to maximize our clients’ green efforts. At the beginning of every job, we hold a LEED®/Green charette with the client and/or architect to review sustainability goals and to seek opportunities to drive greater value. Nibbi’s internal committee NibbiGreen, ensures that everything we do as a company, both in the field and in our offices, supports current best practices in sustainable construction and business operations. New Affordable Housing Project in Berkeley. Palo Alto’s Premier Senior Care Community. New Low-Income Housing in East Oakland. Key to the Conservation of the Environment. 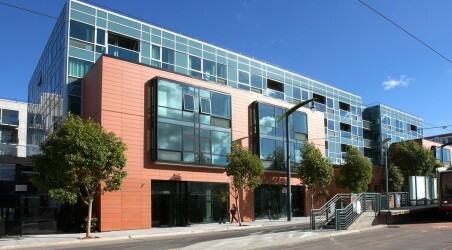 New Student Housing for UCSF.